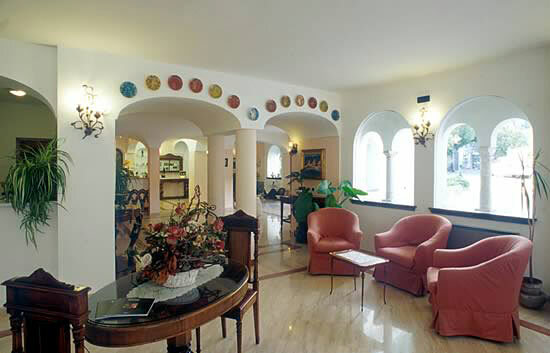 Hotel Rufolo enjoys a superb position in the heart of Ravello, town which, from the heights of its cliff top position, boasts the most breathtaking views of the town of Amalfi, immediately below, and the whole of the Amalfi Coast. Given its location, it is hardly surprising that the views from this historic four star hotel are so spectacular, or that they have succeeded in inspiring so many of the artists to have graced its rooms with their presence over the years. 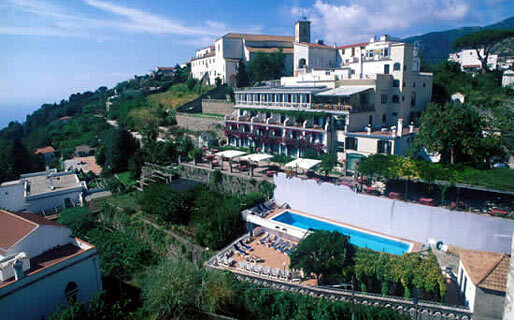 From the windows of Hotel Rufolo's beautifully appointed bedrooms and suites, charming views of the property's immaculately kept gardens and the sea can be seen. 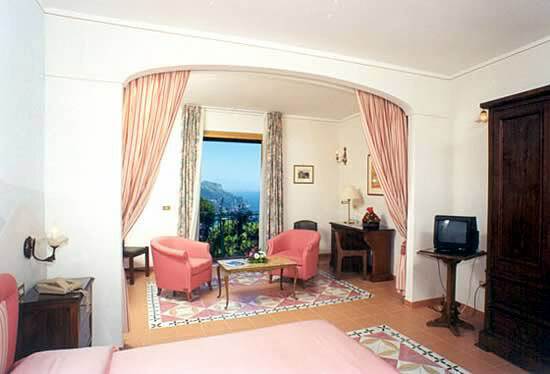 The private terraces overlooking the Amalfi Coast are just one of the reasons the hotel's wonderfully romantic suites are so highly requested. Exquisitely presented Mediterranean cuisine is served to guests dining at the hotel's Sigilgaida restaurant, an elegant eatery in which many a glamorous wedding reception has been held. The gardens of Ravello's historic villas are famous throughout the world, and represent one of the town's principal tourist attractions. 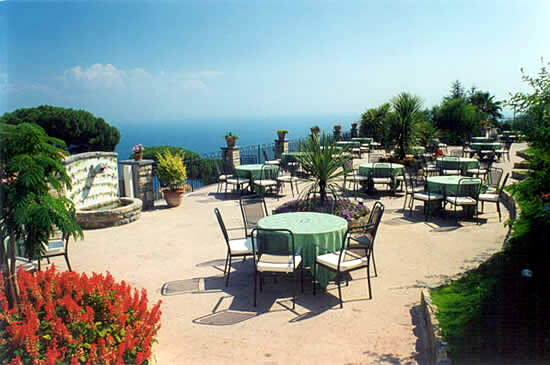 Hotel Rufolo's panoramic gardens, with view of both Villa Rufolo and the sea, provide the idyllic setting for the hotel's large swimming pool and stunning venue for open air social events. 'Rufolo Space' is the name of the hotel's recently inaugurated wellness center, an exclusive environment in which to enjoy a superb selection of face and body treatments. 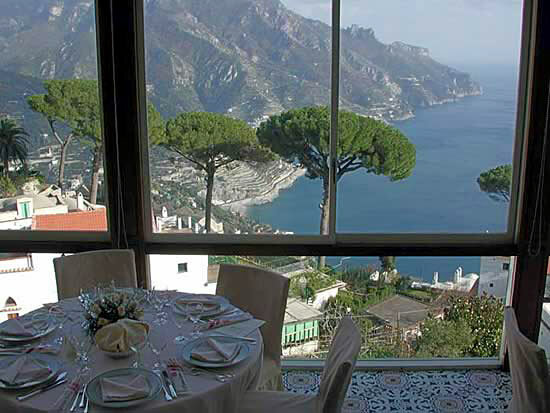 The Hotel Rufolo is located on the beautiful Amalfi Coast in the town of Ravello, from where you can reach Maiori, Minori, Amalfi, and the sea in no time at all.